Women’s health and human rights advocates are popping champagne corks all over the country today. Legislation that would have allowed commercial surrogacy in the state of New Jersey, without protections for women who serve as surrogates and no regulation of the fertility industry, was vetoed. Virtually written by surrogacy brokers, the blatant commercial exploitation of women contained in this legislation is staggering. New Jersey is a bellwether of the surrogacy issue in many respects so this development is a positive portent for those who care about the exploitation of women and about safeguarding women’s health. 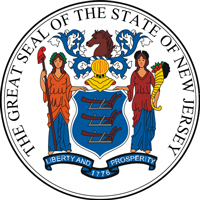 In 1988, the New Jersey Supreme Court ruled unanimously in the famous Baby M case that surrogacy contracts were in violation of every statute and public policy of the state that dealt with the rights of mothers, the rights of children, and issues dealing with adoption and termination of a mother’s rights. That decision of the Supreme Court had an impact far beyond the borders of New Jersey, influencing not only other states but other countries. It continues to be taught in almost every law school in the country. Following the New Jersey Supreme Court decision, the governor and the legislature asked the New Jersey Bioethics Commission to study the issue of whether laws should be changed to create a statute that would enable commercial surrogacy. The Commission, comprised of people from both political parties, psychologists, scientists, physicians, attorneys, healthcare providers, and those from other walks of life, held public hearings, created a task force to conduct research and field trips, and held public debates on the policy issues over an 18 month period. After this comprehensive process spanning 3 years, a 171-page report was issued. The report strongly condemned all forms of surrogacy, including gestational surrogacy. It also noted that all the problems associated with surrogacy where the woman giving birth is genetically related to the child are present with gestational surrogacy in which the woman giving birth has no genetic relationship to the child. The report recommended that the legislature pass a law deterring the practice of surrogacy, including some quasi-criminal sanctions, and imposes rules specifically tailored for the award of custody in those limited instances when deterrence fails. The legislation vetoed this week was an attempt to sneak under the radar and avoid public scrutiny of its contents. It was introduced and swiftly passed out of committee so that the citizens of New Jersey would not be likely to discover that the legislation went against nearly every recommendation of the Bioethics Commission’s report. This action was also the polar opposite of the careful, non-politicized, detailed review and analysis conducted by the Commission. Fortunately, advocates for the health and well being of women and children became aware of these nefarious actions and responded immediately. They held a press conference at the state capitol calling on the legislature to defeat this bill, and they contacted all legislators to express their concerns. Remarkable indeed was the coalition of organizations and individuals who came together in this effort, ranging from pro-choice feminist leaders to the head of New Jersey Right to Life and including a gestational surrogate who condemned the practice and deeply regretted her decision to serve as a surrogate. The coalition remained steadfast after the bill ultimately passed and landed on the governor’s desk, meeting with the governor’s counsels urging a veto. — and an out of control profit-driven $6 billion fertility industry that preys upon women. And these do not include the numerous and serious health risks! Today’s victory is a stark and stunning example of what can be accomplished when politics and other differences are put aside in order to come together around what truly matters: women’s health, prevention of the commodification of women and their bodies, stopping exploitation of women, and recognizing that children’s human rights must be respected and their commodification be opposed. Kathleen Sloan is a Consultant for the Center for Bioethics and Culture, a member of the Board of Directors of the National Organization for Women (NOW), a member of the Board of Directors of the International Coalition for Reproductive Justice, and the former Program Director at the Council for Responsible Genetics.